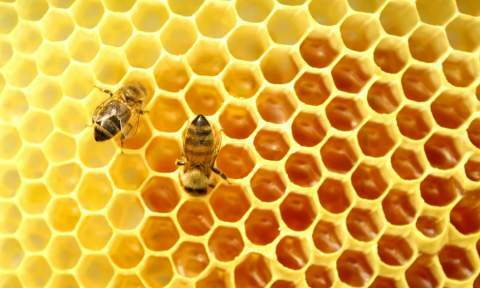 Can science really tell what our honey is about? Can learned men dissect it molecule by molecule and atom by atom and really understand it? Can they possibly see all the ingredients buried within it? Can they count the minutes and seconds taken in its process? Can they isolate the amount of sunshine, rain and wind that has gone into the manufacturing process? Can they tell exactly which flower is needed for the correct pollen? Yes, they can see the specific sugars and the number of carbohydrates and calories and vitamins. And yes, they can make a broad judgement on its food value. But it is impossible to know the intricate finer detail of its substance. And it is in the finer detail that the magic lies. We are the alchemists of life. It is not for nothing that our product is the colour of gold. It is not for nothing that those who tame us and keep us are considered to have special gifts. It is not for nothing that great poets have told of us, and myths have grown around us and we have been venerated by those who tap into the spiritual realm. But it is not necessary to believe in anything supernatural to understand our mystery. We are but a part of the intricate web of nature. We too are hewn from the dust of the earth and the breath of the wind. We also carry within us the self-same strands of DNA spiralled together in our own unique pattern. And yet, perhaps we have been given a touch more than most. Perhaps we have the edge in energy stores. After all, busyness is our hallmark. Perhaps we have the edge in construction, harnessing the power of the hexagonal. Perhaps our discipline and orderliness in the rank and file of our workers puts even the greatest armies to shame, and our selflessness in service to the community is regarded unparalleled. But to God, all the above is child’s play. He can bestow all these attributes on anyone at any time, and to whichever creature he chooses he can award the laurel wreath of success above all. No, our secret lies in the fatal flaw of the Laws of the Lower Worlds: Free Choice. But in the vibration of our buzzing wings, we can choose the wavelength of love, or the wavelength of obligation. We are not told or ordered which to choose. But the choice determines the magic. When we beat our wings with love, we sing the same song as the flowers and the sun and the winds and the earth. We move in harmony with the creation. And it is this choice that powers the healing properties of our honey. And it is this choice that we make with the joy of life in our hearts that fuels our industry and our energy. And it is the consequence of this choice that honey tastes sweet and combats the ills of your body. It is our choice to love, and it is our choice to express our love in our work and it is this ingredient that cannot be observed, weighed or measured. And it is this simple magic that we embed in the honey uncalled for and unasked, given of our own free will, that makes it the king of all foods and the nectar of the gods.